However, even though my son wouldn’t try it, my husband and I thoroughly enjoyed this dish. It was a nice break from the salty, orange cheese powder from the box. When I was heating up leftovers the next day (it heats up wonderfully in the microwave, by the way) my mom (who happened to be in town) couldn’t resist having some of her own. There is a lot of room for flexibility when making your own Mac & Cheese. Really, you can just use whatever cheese you have on hand, as long as it equals about a pound in the end. 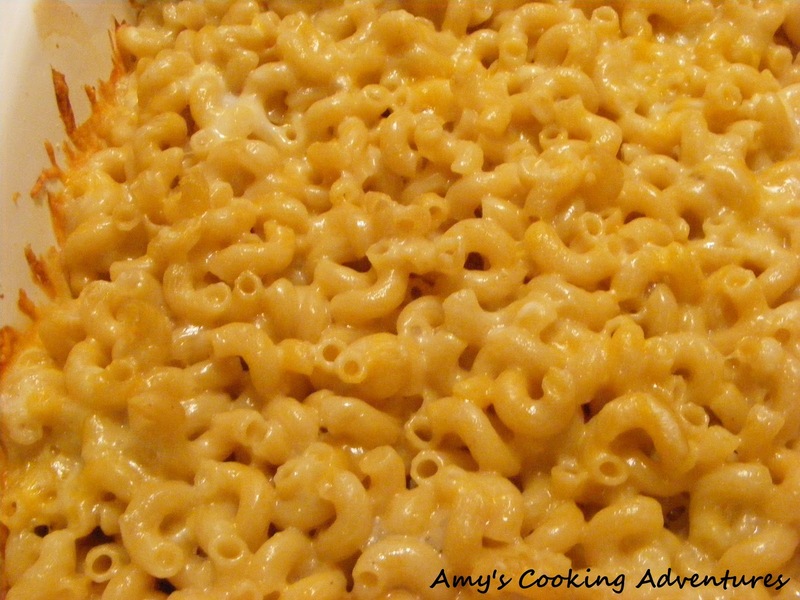 You could easily use all cheddar or Colby-jack for a more kid-friendly flavor! Dot 1 tbsp butter into the bottom of a casserole dish. Pour half of the cooked pasta into the dish. Top with half of the cheese. Dot the remaining 1 tbsp butter on top. Pour the remaining pasta evenly over the top. And evenly spread the remaining cheese as the top layer. In a separate bowl, whisk together the eggs and evaporated milk. Pour mixture evenly over the casserole. Bake for 20 minutes. Amy, that looks and sounds so delicious! Love it. We must be thinking alike because I made homemade mac and cheese today also! I thought it was funny how your son didn't want it because my picky eater didn't like mine either! Oh well....at least us adults can enjoy it! Yours looks like it turned out really good and creamy! 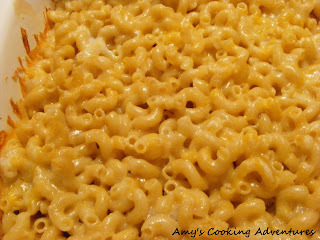 There's nothing like homemade mac and cheese!!! So much better than a box. Hope your son liked it!